Known by the bucolic name of �Buttermilk Station� during the Civil War,, it was later known as Highlands. 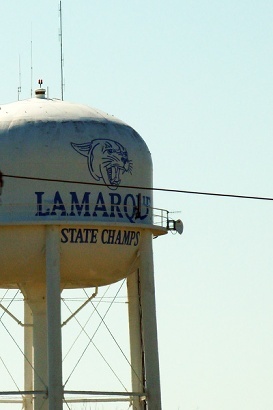 Since the name was already in use by another community, the name was changed to La Marque in the 1890s. From a nucleus of six families in the late 1860s, it grew to 100 for the 1890 Census and by the middle of that decade, it had grown to 175. In 1914 La Marque was connected to three railroads as well as the Interurban line which connected Houston and Galveston. That same year the population reached 500 and growth was slow but steady. By the early 1950s it had surpassed 1,500 residents (served by a reported 90 businesses. 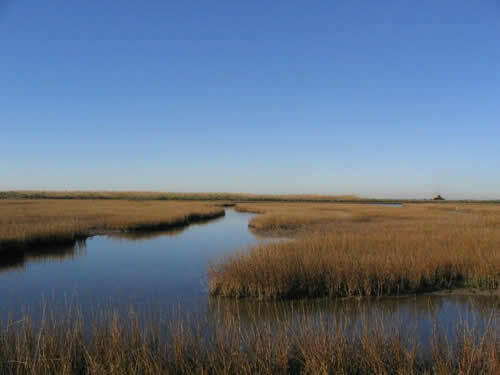 La Marque�s population worked in the chemical industries along the coast and in Galveston. By the late 1970s it had peaked at 17,000 residents, declining over the next decades until it reached 13, 682 for the 2000 Census. The 2010 Census showed an increase to 14, 509.